No, East Village Today isn't going goth — I just needed a clever way to introduce this smashing pumpkins story! 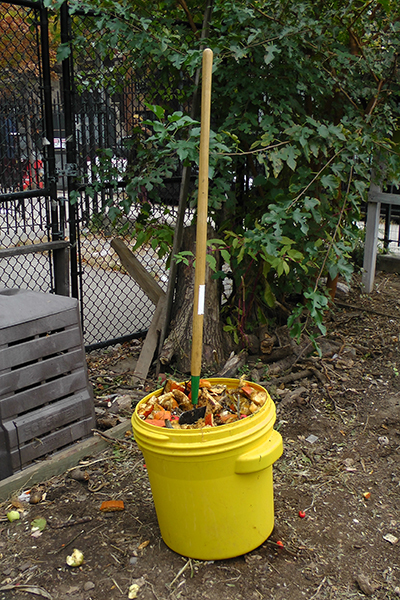 This past Sunday, at the 11th Street Community Garden, on East 11th Street, there was a pumpkin smashing festival! 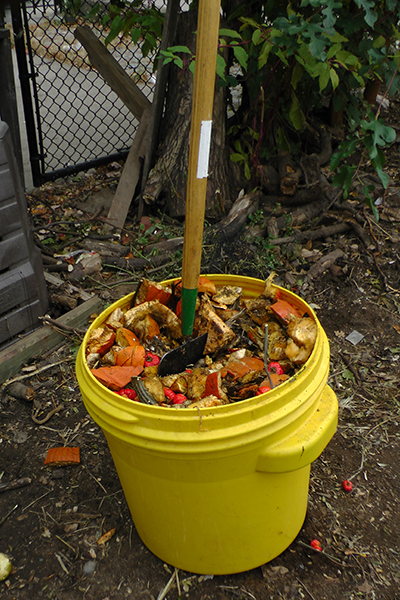 It turned out to be more of a pumpkin chopping festival than a pumpkin smashing festival, but a few people brought their jack-o-lanterns and chopped them up in a bucket! I wonder if these two made it into the mix? i like the pumpkin drop, or, even better, the pumpkin catapult!